By Emily Evans-Miller Here at Mascot, we think it’s high time to recognize the unsung heroes of the publishing community: illustrators and editors. We have an extensive network of freelance professionals who do fantastic work for us and our authors. This month, our featured freelance publishing professional is editor Lorna Walsh! Lorna is one of our most trusted editors and has worked with Mascot for over a year. 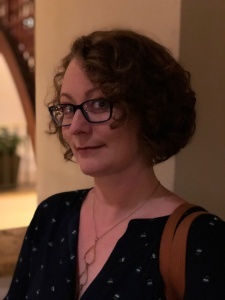 She’s edited books of all genres, so our blog editor, Emily, asked Lorna a few questions to learn more about her editorial process. Once upon a time, many moons ago, I graduated from college with an English Literature degree. Not wanting to be a teacher, and not knowing what else to do with my education, I entered a career in the nonprofit sector that lasted fifteen years. I enjoyed the work, but when I hit thirty-five, I decided to take a year off to take stock of my life. During that sabbatical, I wrote a novel and began retraining to be a copyeditor. I had always written fiction and been good at providing critiques to other authors in my writing groups, so I built on those skills and finally set up my own writing and editing business in early 2016. I love to write, but I enjoy editing more. Nothing makes me happier than helping a manuscript reach its fullest potential! The variety of material is one of the best aspects of the job, and I learn a lot from the books I work on. The subjects of the books have ranged from getting over a divorce (which was helpful when I was going through one!) to the experience of US military personnel who were taken prisoner by Japan during WW2. I have learned all kinds of things and entered all kinds of worlds that I would never have otherwise known. I am a professional ghostwriter and have worked on eight titles in the self-help, business, and lifestyle genres. In my spare time, I also write fiction—mostly short stories—and I was very happy to be nominated for a Pushcart Prize in 2017 for my story “Becoming,” which was published in the literary journal F(r)iction. Being a writer helps me be a better editor of other people’s work because it gives me greater empathy for authors; conversely, I believe being an editor also makes me a better writer. How many books have you worked on? Both with Mascot and in total. I counted my projects for Mascot Books and discovered I have worked on 22 titles in 13 months…and I see most of them at least twice! As for the grand total, I have totally lost count, but it must be in excess of 100. Sometimes I might only see a single chapter of a book. 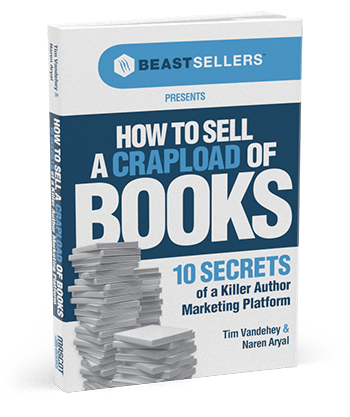 Other times, I get involved in creating a book outline with a client before passing on the project to a ghostwriter. Note to self: must keep better records. 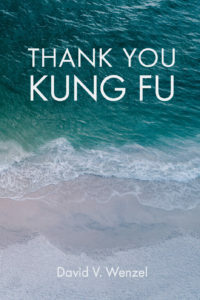 I copyedited David Wenzel’s memoir, Thank You Kung Fu, which was a wonderful experience. His story about living with an inoperable brain tumor was so compelling and moving, yet also incredibly uplifting. David is a natural communicator and storyteller, so his book was a joy to work on. I also had fun working on another memoir (not yet published) that happened to be set in a city in the UK where I used to live. The book took me right back there, and my knowledge of the city helped me pick up a couple of spelling errors that others might not have noticed. As my previous answer suggests, I love editing memoirs. Fiction is also fun to edit, but I pretty much like every book that comes my way because I love language and the craft of editing, even if the subject isn’t exactly my cup of tea. I would add, however, that the books that are always my favorite are the ones written by authors who appreciate the editorial process and see me as a friend, not a foe! I’m more annoyed by the grammar police than I am about grammar errors! Grammar bullies are everywhere these days, and they enjoy shaming others for their mistakes despite not really knowing what they’re talking about. Mostly, they’re just clinging to some old-fashioned “rule” that no longer applies. English vocabulary and usage is constantly changing, and everyone makes mistakes because English is so weird and complex—even the greatest authors need copyeditors and proofreaders! Personally, I’m glad people make mistakes because otherwise I couldn’t do what I love for a living. With reading being so much a part of my day job, I am often guilty of Netflixing the night away. But when I read, I alternate between fiction and nonfiction for more variety. I’ve just finished reading the Pulitzer Prize-winning novel Less by Andrew Sean Greer, which is phenomenally good and wonderfully funny. And now I’m reading Sapiens by Yuval Noah Harari, a truly mind-blowing piece of nonfiction that will totally change the way you view the world and yourself. So many! Can I give you my top five?! Whenever I get the time, I enjoy all things art deco, as well as visiting new places in Los Angeles, where I currently live. I like independent cinema, so I often make the most of the air-con at one of the local movie theaters. And because of my sedentary day job as a full-time wordsmith, I’ve recently started running in the mornings before it gets too hot, although I doubt that’ll ever be an activity I am fanatical about. I guess they should know that I’m British, which means I am sometimes befuddled by an Americanism, even after a decade living in California. Sports stuff can be especially challenging for me as a Brit (and as someone who only enjoys watching rugby), but I like to learn new vocabulary and phrases, so a lot of Googling goes on if I’m editing a book on, say, ice hockey, which happened recently. This “ignorance” can be actually pretty useful sometimes; it’s amazing how many times I pick up an error when I’m verifying American names and places I’m not familiar with. Lorna Partington Walsh spent thirty-two years in the United Kingdom before moving to California in 2009. In 2014, she changed career from nonprofit consulting to wordsmithing and is now a full-time writer, editor, and proofreader for a broad range of clients, including magazines, book publishers, and novelists. Lorna is especially passionate about world-changing words and has a blog called “Books with Spine,” which focuses on what she calls “mission-driven publishing.” A fiction writer in her spare time, Lorna has been recently published by Tethered by Letters and Running Wild Press, and she was nominated for the Pushcart Prize in 2017 for her story “Becoming.” In 2019, she will be taking herself back across The Pond to live happily ever after in merry old England where she will continue to write and edit for Mascot Books, of course. 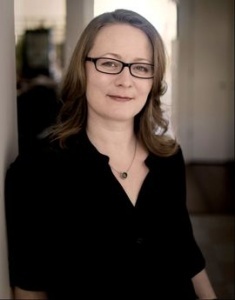 Follow her on Twitter at @BooksWithSpine and learn more about Lorna at www.idealtype.com.